THIS IS A PREVIEW OF YOUR EVENT! Thanks for making IleSoniq a success. Looking to book a bus for your own event? What's the FICAV amount that is being charged on my purchase? The Compensation fund for customers of travel agents is a financial protection administered by the Office de la protection du consommateur. It is used to protect you against specific cases covered here. ADA accessible shuttles are available upon request. 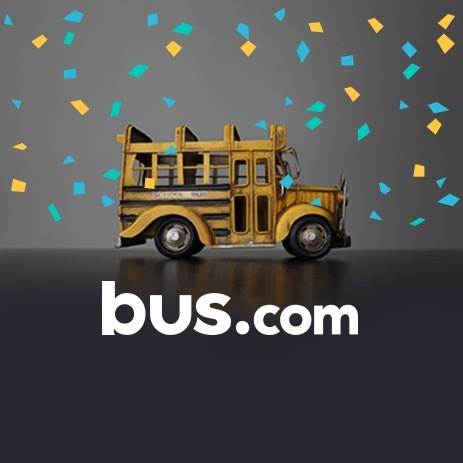 Please email info@bus.com to let us know which event you're headed to as well as what date and time you'll be travelling with us, so we can arrange the right vehicle. Please note that ADA requests must be made a minimum of 4 weeks prior to the start date of the event. Let us know as soon as you book your bus ticket! I don’t see the departure time or location that I want. You can simply hit the “Request a trip” button, and enter your preferred time and location as well as your contact information. You’ll be notified if the route is added! What do I need to bring to board the bus? You just need yourself, your bus ticket (either printed or displayed on your phone), and your ID. Be sure to also bring along your event pass/wristband in order to enter event grounds! What does “Waiting List” mean? By clicking on “Waiting List,” you’re letting us know that you’re interested in that particular route. If there are enough people interested as well, we’ll add that route and notify you as soon as it goes live. Yes, tickets can be transferred from one person to another. Please send your ticket email to info@bus.com and tell us the name, email address and phone number of the person you'd like to transfer your ticket. Please note, riders will be checked in. Once a rider is checked in, his/her ticket is expired and no one else will be able to board using that ticket. Can I switch my bus ticket for another time? Yes, if there is room on the trip that you want, then you will be able to change your ticket.